CG Hospitality Holdings, a Kathmandu-based multi-national conglomerate with 200 years of history and a proven track record over the past two decades in the hospitality industry, has bought out its current partners to take control of The Farm. CG will take over the full management of The Farm at San Benito after Mr. Binod Chaudhary, Chairman of Chaudhary Group (CG), bought the shares of Avalon Hospitality. 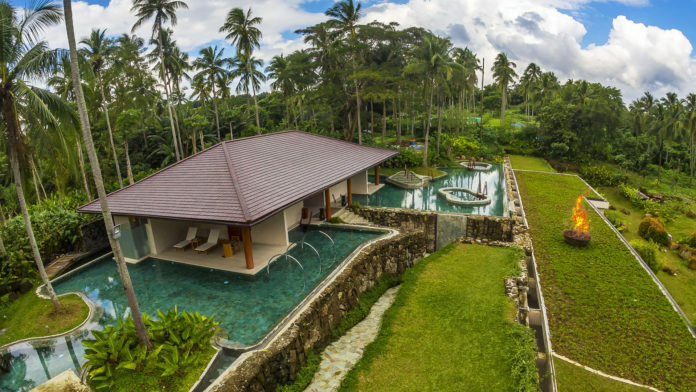 With this buyout, The Farm at San Benito, an eco-luxury holistic medical wellness resort located in Lipa, Batangas, is expected to grow its business by building more villas and facilities inside the 48-hectare lush tropical jungle. The plan is to also develop a world-class high-end residential development within the 48-hectare land parcel which will be focused around the concept and philosophy of The Farm. The Farm needs to be replicated across key destinations of the world to deliver on the ever increasing predictions and trends around wellness. Making time to unplug is a higher priority than ever before and destinations that help achieve this balance like The Farm will be highly sought after. By 2020, the company projects its number of properties to double. Mr. Rahul Chaudhary, MD of CG Hospitality Holdings shared, “The company is actively expanding globally by building more cutting edge concepts to life in hotels, resorts, residences, and spas across Asia, Middle East, United States, and Africa. We aim to redefine standards. In fact, Philippines is an important market, that is why we plan and target to build another new holistic and healing sanctuary here.” This expansion is projected to bring jobs in the country and drive tourism. Programs are carefully planned and conducted by internationally-trained medical doctors and experts.